Of all earth’s continents, Asia certainly has some of the most diverse and flavoursome range of food. Take a look at these culinary delights and see for your yourself! Mixing classical Chinese imagery with sleek, ultra-modern design (check out the honeycomb wall and teacup silhouettes), the modestly named HuTong is much more than just a dumpling bar. It’s true fine dining heaven, and an awesome place to take someone you’re really looking to impress. If you fancy something exotic, go for the deep-fried barramundi with sweet & sour sauce and pine nuts. Warm, friendly and always inviting, Little Ramen Bar is the cutest noodle joint in town. The Special Miso Ramen is a particular favourite here, comprised of white and red miso, chilli and their famous pork broth, with barbeque pork, corn, butter and egg. It’s a hearty morsel, and will have you leaning back, loosening your belt and uttering a very satisfied “Onaka ga ippai” by the time you’ve finished. 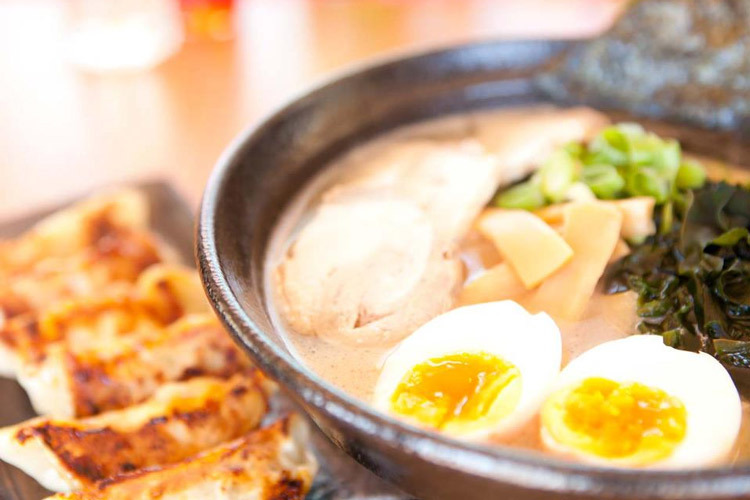 Have you been to Little Ramen Bar before? Review it right here! 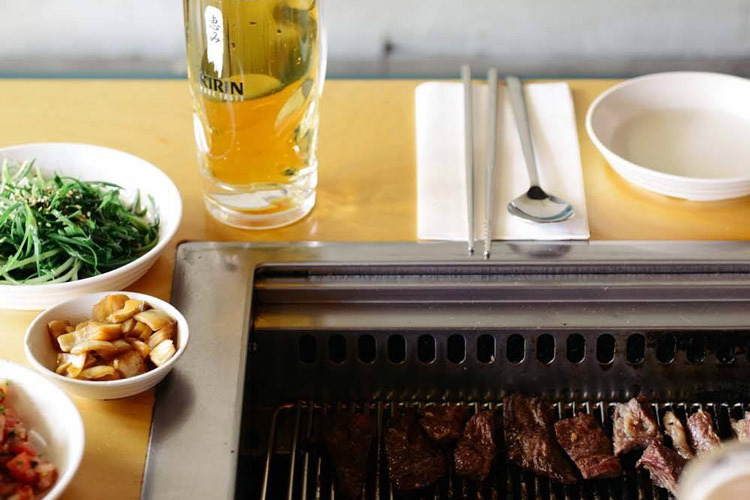 Mrs Kim’s eponymous grill leads the way in local Korean cuisine in Melbourne, with fresh, authentic flavours and a real flair for presentation all part of the dining experience. For a real treat, try Mrs Kim’s Set of deliciously marinated meats, and watch as it’s prepared before your eyes on your table’s own individual grill. With its vividly painted exterior, Saigon Sally is tough to miss. 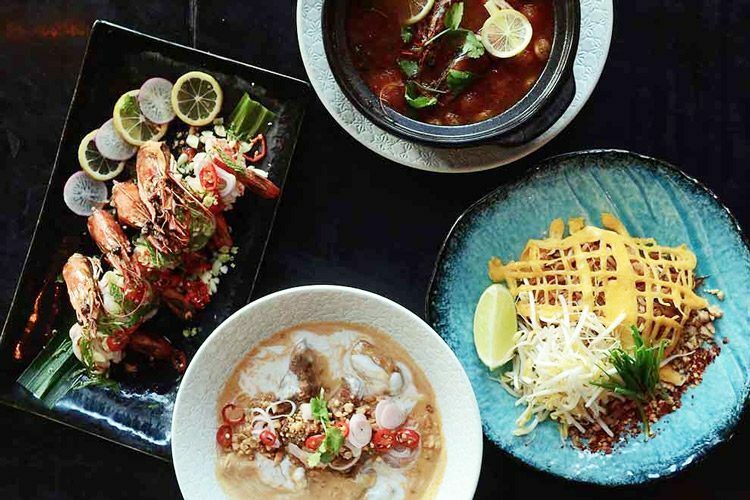 Good thing too, because It’s our favourite Vietnamese spot in Brisbane! We’re going to recommend a dessert here, in the form of the lovely Banh Bo Nut. 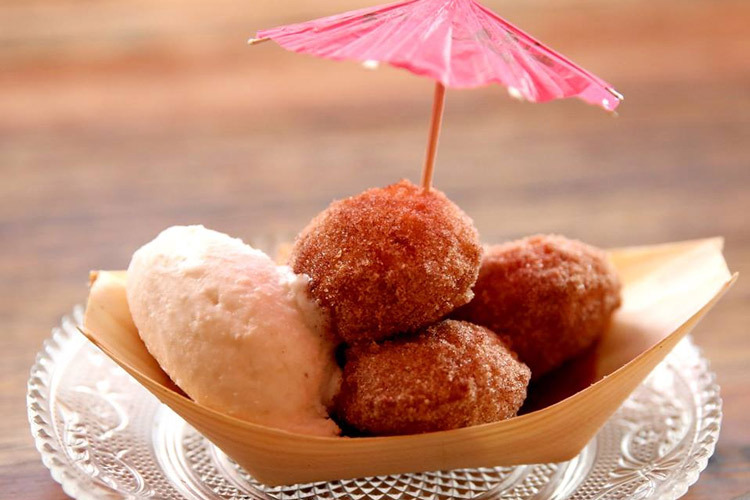 That’s Vietnamese donuts with salted galangal caramel and toasted coconut sorbet. It’s gorgeously rich and very filling, so good luck! Or chúc may mắn, as they say in Vietnam. With a traditional wai greeting, we happily welcome you to our final entry. True to its punchy name, BangPop is bright, colourful and bursting with personality, with delectable delicacies courtesy of master chef (and all round top bloke) Lukkhana Pothasu. We’d highly suggest trying the Sua Rang Hai (“Crying Tiger”), with grilled beef, cucumber, shallots, tomatoes, lemongrass, chilli and herbs. Yum! 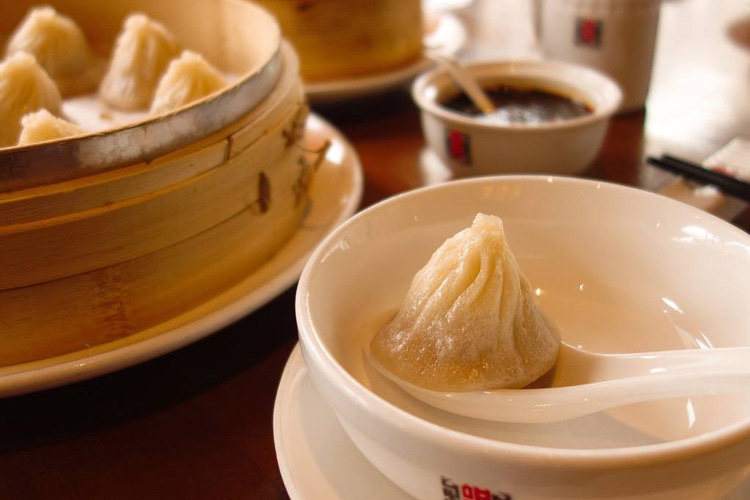 If you’re not too full, please do review these restaurants on True Local!